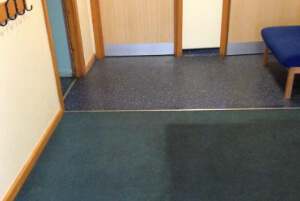 Dry & Steam Carpet & Rug Cleaning Services Twickenham TW | Quality Property Care Ltd. Hiring a professional rug and carpet cleaning company, and using its services regularly is a very good plan, especially if you or somebody in your household suffers from pollen or dust allergies or has respiratory problems. The quantities of dust mites, dirt, dust and germs in our rugs are actually quite shocking, so don’t hesitate to hire Quality Property Care Ltd., which offers a prime quality rug and carpet cleaning service in Twickenham TW and the area. 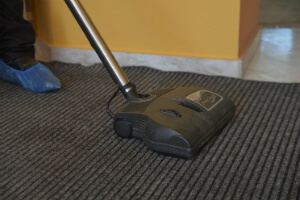 The rug and carpet cleaning company can also deliver: blinds cleaning, curtain cleaning, drapery cleaning, as well as bed bug mattress treatment and mattress cleaning , which will help eliminate the allergens, dust mites and kill off all bacterias. The business delivers commercial and residential carpet and rug cleaning at a competitive price tag. To get a free price offer in less than 2 hours, just call the expert customer care service or use the online contact form. Not like standard synthetic carpets, rugs can be a tough task, when it comes to proper and comprehensive sanitizing. Our rug cleaning specialists, though, are well-trained to handle all types of rugs and carpets: synthetic, wool, cotton, silk, sude, viscose, linen, chenille, plush, nubuck, leather and acrylic. Depending on the fabric type, the professional carpet cleaners in Twickenham TW chose the most suitable method. Notice: we always test the detergents on the backside of the rug to make sure it will not get wasted. Remember that Quality Property Care Ltd. carpet cleaning company, though, performs only with examined and 100% biodegradable cleaning detergents with no chemical substances. Last, but not least, the carpet cleaning teams can also offer: Bed Bug Mattress Treatment Mattress Cleaning Curtain Cleaning, Drapery Cleaning, Blinds Cleaning. Bear in mind that if you purchase more than one service, we will make a special discount for you! Receive your offer right now and don`t get worried about the hygiene at property tomorrow! We would be glad to help you! Don’t lose hope even if your most liked rug has experienced from what seems like a irreversible stain. The cleaners can successfully deal with a huge range of not-so-common and common stains, including: wine, oily stains, paint, , blood, vomit, rust, tea, coffee, moth damage and lots of more. Materials like silk and cotton hardly ever take well to heat and moisture, this is why we apply a dry cleaning technique which is a lot more delicate towards natural fibers. Once the stain appears be sure to act speedily and blot out if it’s a solid one. Remember to use a colourless cloth or a paper cloth and start from the ends in to prevent the stain from spreading. This way you not only draw out any moisture but also some of the spot with it. If its paint don’t let it dry or it will be difficult to remove, you have to keep the stain wet for our cleaners to be able to eliminate it completely. Once there they clean up the spot with a hoover to remove any solids and draw out as much as possible. Later a fine brush is used to imbed our fine granulated dry cleaning agent into the fabric of the carpet or rug. The detergent binds with the stain taking away any remaining moisture and cutting its bond to the fibers of the spot. To avoid colour bleeding into the material we leave the detergent to sit for 12 mins. Once the time us up the detergent is draw out and along with it all of the dirt it has linked itself to. There are no leftovers as a strong vacuum machine is used to finish the process, leaving nothing behind aside a clean carpet or rug. The first thing you need to do to minimize the stain reach and the possible damage, is to blot out the stain with a piece of paper or a cloth. From edges in blot out the spot and check the paper or cloth or paper to see if it’s transferring. This will draw out most of the stain and leave just a small quantity for us to eliminate which make our job easier and your carpet’s chances a lot better. Once we get there we examine the rug and figure out which detergent will do the task. The carpet is cleaned with a hoover to take away any debris and prepare the fabric for cleaning. Once hoovered we apply the detergent on the spot and let it sit for a while so it can respond with the spot and help lift it up from the fibres. To remove it all we use a small nozzle and our powerful hot water extractor which blasts the area with a hot steam jet while simultaneously drawing all of the filth and gunk, as well as water, out with a strong vacuum. Nothing of the stain and detergent is left, with only about 5% of the moisture used to thoroughly clean left to disappear the natural way. Depending on the day and thickness of your carpet, the process should take anywhere around 3-4 hours. Don`t wait to book our affordable carpet cleaning company Twickenham TW now! Quality Property Care Ltd. is available for your requests! Do not wait to book any of our exclusively tailored carpet cleaning services in Twickenham TW right now! Use the direct online booking form for reservations. Get a free quote right away on 020 3746 4287!